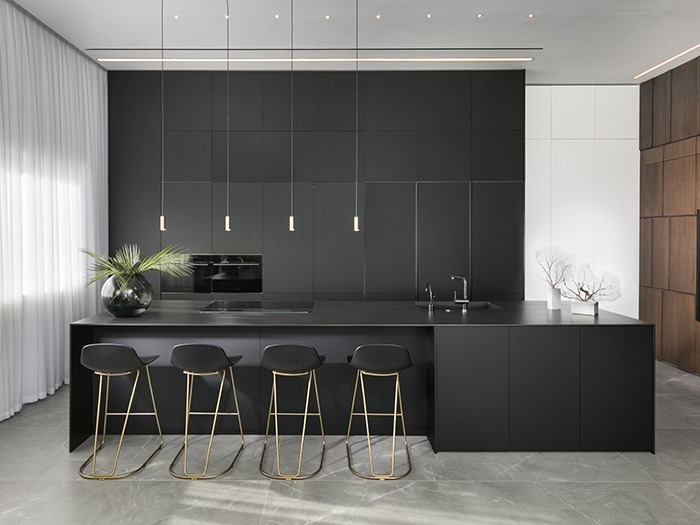 Studio Erez Hyatt is a design studio known for creating residential, luxury apartments. They focus on minimalist and functional creation, based on a complex and precise design that matches the Estiluz suspension lamps used in these builds. For the design of the projects, Studio Erez Hyatt chose the Volta and Revolta suspension lamps to illuminate the dining areas. Both families of lamps make the most of the dimensional limits of the space with minimal formal expression. 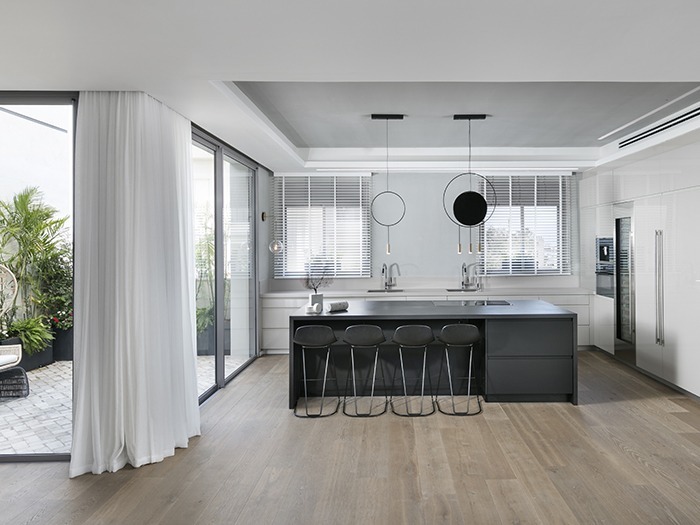 The environments created by the Israeli studio employ the essence of their signature design. The skill with which they combine geometric shapes and rounded edges, along with tones used to suggest a recurring colour scheme, achieve an atmosphere both serene and elegant. The resulting atmosphere fits perfectly with the warmth of wood and different elements in satin gold metal, making the apartments the perfect place to dine privately with loved ones and family.